I disagree. I don’t think that Heath and Potter reduce counterculture to a “monolithic entity,” I think they rightly identify the underlying crack in the overall counterculture foundation—their collective inability to see the big picture and accept being a part of something bigger than themselves. In each of the stories told, those seeking “freedom” or “creativity” or “individuality” made their goal their god, and ended up serving it more than being liberated by it. When we see a need for systemic change, we can easily become myopic. We create false dichotomies. We demonize the “other.” And how easy it is to let our pride keep us from compromise. When I think of the current battle around gun laws in the United States, I see both sides guilty of this. Every American…EVERY. AMERICAN…should be absolutely outraged that school shootings repeatedly happen in that country, and in that country alone. Every American should be willing to discuss all options to solve this epidemic. Every American should be able to compromise some aspect of their ideals in order to make progress towards safe schools. Instead, the gap just keeps getting wider and wider between the two sides. Both seem to have bought the countercultural lie that compromising is “selling out.” Each side’s commitment to their cause continues to trump their commitment to the greater good. What if they decided to learn how to compromise. Could the Left consider some options that don’t include making stricter gun laws? Could the Right consider some options that do? When does solving this finally become more important that holding to our own ideals? What boggles my mind the most is the number of my Christian brothers and sisters who seem to be unswervingly attached to the Second Amendment, as if compromising on this bit of legislation would be the equivalent of blasphemy. But don’t they see the plank in their own eye? The plank which that claims to be pro-life but is more concerned about their right to bear arms than the children who are being killed in schools? Before I came on the mission field, I might have been among them. I remember hearing a joke made by US Army General Schwarzkopf about France’s refusal to join in the Iraq war. He said, “Going to war without the French is like going hunting without an accordion.” I thought it was funny. Yesterday I sat on my sofa with a dear Christian friend who was telling me much of her life story, which included a bit about her husband being a “conscientious objector” when it was time for him to do his compulsory military service. She totally supported his position, both of them basing their decision on their Christian faith. I’m not saying that Christians need to be against the Second Amendment. I am saying that they are certainly NOT doctrinally required to be FOR it. Christians, Christ has called us to a countercultural experience, one where Jesus is king. Because of Him, we should be leading the way towards peace and reconciliation. Reaching across party lines to find a way forward on this critical issue. There are no easy answers, and the solution will have to be multifaceted. Disparaging the other while clinging to your own way of seeing things is not the way of Christ. He has shown us a more excellent way. Joseph Heath and Andrew Potter, The Rebel Sell: How the Counterculture Became Consumer Culture (Chichester: Capstone, 2006). 69. Wright, Pike. “Fightin’ words.” This Magazine, Jan.-Feb. 2005, p. 8. Academic OneFile, http://link.galegroup.com/apps/doc/A126851352/AONE?u=newb64238&sid=AONE&xid=79b16bcc. Accessed 22 Feb. 2018. Ian Reilly, “The Rebel Sell: Why the Culture Can’t Be Jammed,” The Journal of Popular Culture 40, no. 1 (February 1, 2007): 187–88, https://doi.org/10.1111/j.1540-5931.2007.00369.x. Great post Jen. Do you think its ok for us to disparage the other if we make the target “the world” or “principalities of darkness” etc. I’ve done a few sermons series as a youth pastor called “counter-culture” when I challenged my students to be against the other. Of course, this was spiritual “other” and not political other. We certainly are becoming more polarized between the two sides. As someone who generally identifies with conservative thought, I feel like I’m open to considering left ideas but legitimately I dont see how the left ideas are solutions. Maybe I am too predisposed. How can I be sure I am objectively and rationally cosidering the suggestions. To answer you first question, I think we called to be different, and I love the image Jesus give of being salt. Salt will have an effect. On food, in can bring out flavor. But on a wound it can kill bacteria. The salt, because of its distinct properties, will be offensive to bacteria. I suppose we could even say that the salt attacks the bacteria, but not using weapons, just by simply being wha salt was made to be. As Christians, the BIble tell us that our way of living and being–wimply who we are–will be offensive to some (a stench!). But this happens when God’s spirit transforms us, makes us righteous, and by grace, we no longer desire the the things of this world. As for considering the suggestions of the other, I think this is a great challenge for all of us. One thing that helps me is avoiding false dichotomies. Perhaps neither side has the best answer, can we start looking for a third way? Thay third way might mean letting go of some of my own ideas, but it does not necessarily require me to fully embrace all of the other’s ideas. I also agree that people seem to be holding onto their right to bear arms and placing it above the protection of children. Thank you for a thought-provoking, heartfelt post. How surreal it must be (for you) to be watching these events unfold as a US citizen living overseas. I agree with you – the solution is not in holding a liberal or conservative “stance” on the second amendment – but to find a solution to protect our children and society. 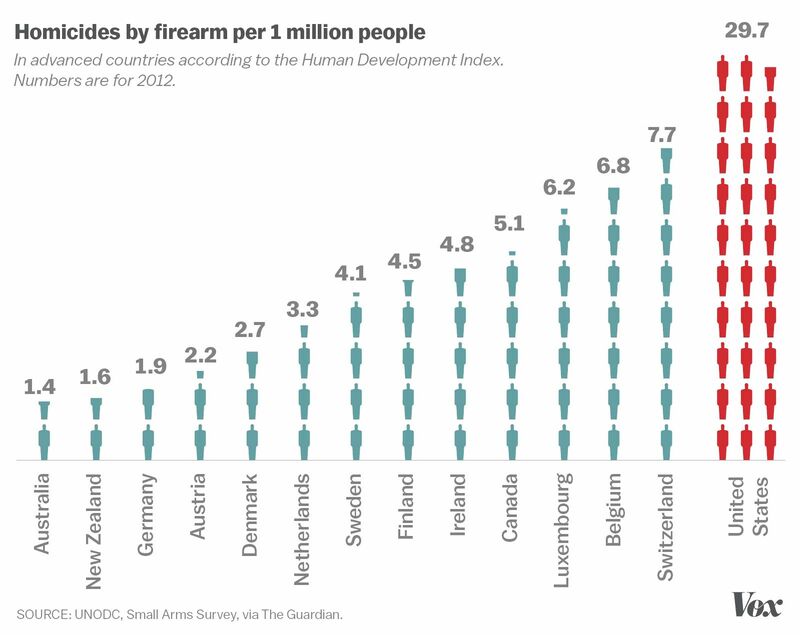 We have to recognize that the US is in crisis related to gun violence, and effectively seek a solution. Thank you for passionate post. How do you navigate the questions about the US policies and tragedies with your friends/acquaintances in France? What I find eye-opening, and has really helped me adjust my worldview, is realizing that Christians aroung the globe are baffled by the American gun culture. It’s made me realize that the conversvative right second ammendment Christians are really the oddballs when you look across the global spectrum of Christianity and their view on guns. In other countries such as Canada, Britain, and I expect, France, evangelicals hold a much wider range of opinions and beliefs about politics. In Canada, I am friends with evangelical conservatives and evangelical socialists. Because the brand “evangelical” is so tainted by the media, most are choosing now to abandon the label.